Your Horse deserves only the best Cheltenham Eggbutt Gag Bit with Leather Cheeks. 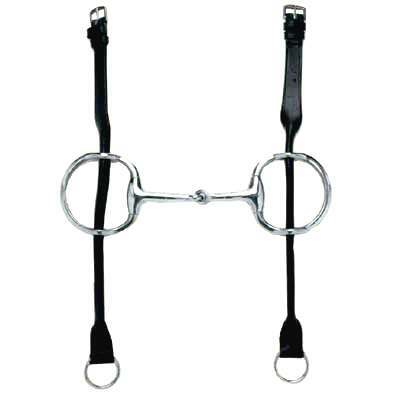 We are confident that the Horse Gag Bit selection we have available are sure to satisfy you. This item also comes with top quality leather Cheeks. Finding the perfect Gag Bit can be very hectic and time consuming. This is why we strive to offer only exceptional quality products that we believe are made of unsurpassable craftsmanship. 3 Ring Continental Gag Bit with 20mm mouth.